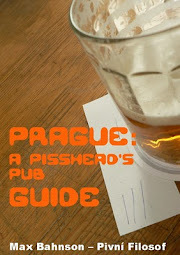 I've started writing the second edition of The Pisshead's Pub Guide. I've still got no clue when I finish it—it'll depend on my workload, the one that pays the bills, and some developments in the local beer scene (more on that later). But I'm quite excited, and so should you. Not much will change, really. There will be a few new crawls—three or four, maybe more—and it will have a index at the end, sorted by brewery. With so many good and interesting places to choose from, the selection criteria will be a bit stricter, and I've also decided that the crawls will not be longer than 5 pubs (though, as you can imagine, that might change). The one thing that has me worrying, though, is the news I've seen these days. According to Pivovary.info, there are six brewpubs that should be opening before the end of the year-beginning of the next. That in itself isn't a problem, far from it, but knowing how things go here, many of those dates are, at best, wishful thinking. Pivovar Vinohrady, for instance, was planned for April this year, but last I heard was that it'd open in October, which could easily mean April next year. Most of those brewpubs will be located in the outskirts of town and, open or not, it'd be almost impossible to put them in any of the crawls I've planned, but there are a couple that, provided they turn out to be good, could be included. There's also one that will be a brewery almost symbolically as their beer will be contract brewed in Kácov and they will have a 60l, or so, kit that will mostly be used to make beer on demand; the place, on the other hand, looks quite interesting for what I've heard, so it might still be worth a visit. Anyway, if you' think there are pubs, cafés or restaurants that should be in the guide, let me know. And if any of you out there happens to be a publisher, don't be shy. Restaurant Olse on Olsanke namesti, for tank PU. Heroldova Hospoda, a neighbourhood pub serving Herold beers. Pivní lokál Vostrý - German and Czech beers on tap, two of them are rotating, also killer German sausages and the owner is very friendly, small place, good atmosphere, located in Žizkov not far from U Slovanské lípy. I would also recommend the bookshop Volvox Globator, they have four rotating taps and a selection of bottles (mostly Belgian, the owner is a fan), often very interesting stuff on tap (even BrewDog, DeMolen, Mikkeller among others). 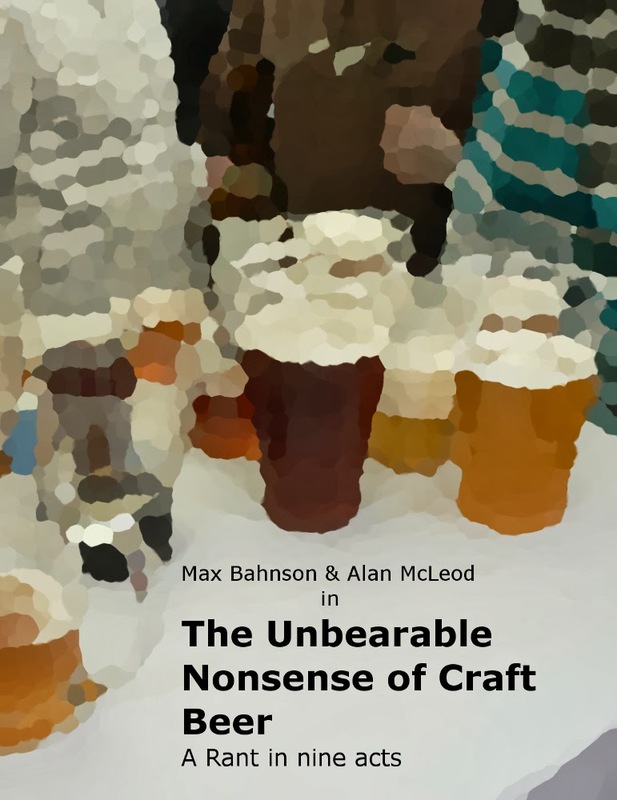 Max, please include some single-beer pubs in your book. Not all of us are interested in multi-tap pubs. Too much choice! There will be many beer minimalist pubs, I love them, as much as I love multi-tap ones. And, of course, thanks for the suggestions. Single beer pubs? If you tried that in Toronto, you'd get stabbed by a hipster.